Inexpensive Personalized Ceramic Coasters, Custom Printed in Bulk. Cork Base. Promotional. Bargain Prices for USA, Canada. Bulk Promotional Ceramic Coasters with Cork Base , customized with your logo. 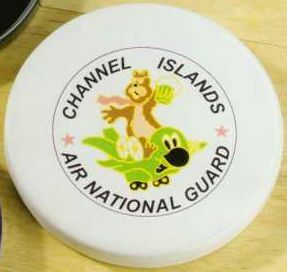 We also supply wholesale blank (not custom imprinted) ceramic coasters at EQP (End Quantity Price). Photo ceramic coasters with full color imprint are also available: contact us. 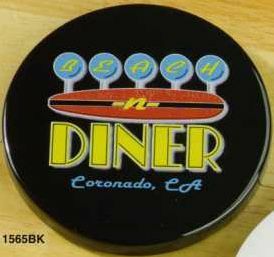 Budget Prices for USA, Canada for bulk custom imprinted ceramic coasters. We package our ceramic coasters as gift sets in beautiful gold-colored gift boxes (the 1-coaster sets may also be supplied in white gift boxes: your choice). We supply gift sets with 1 coaster, 2 coasters or 4 coasters per gift box: see the Price Table below. Prices include your 1-color imprint. We also supply photo ceramic coasters: ceramic coasters with full color imprint: contact us for pricing. Free artwork design. American clients pay no taxes. We will send you a proof for your approval before production. Rush Production Time: 3 days: add $1.00 per coaster. Cork base; it absorbs moisture and condensation. Gift Box Colors: Gold for the 1, 2 and 4 coaster gift sets; White for the 1-coaster gift set, only.